Tigereye Camp is designed for all ages to build physically and mentally strong kids. We have high-quality equipment and mats, as well as an activity room and a computer room. We provide a clean, safe and fun environment. Our convenient location next to Ratcliffe park provides our kids with an outdoor space for additional activities and adventure. We are presently offering five types of camps." Our Fun Camp is more than just kicking and punching. We spend our weeks creating art projects, visiting the Smithsonian museums, having endless fun at the water park and watching new movies. Additionally, we also enjoy the great outdoors by going to Ratcliffe Park directly in front of our dojang. No matter what week you choose to sign up, we can guarantee your kid will have fun. Remember, the more weeks you sign your kids up, the more fun they'll have! My kids love Tigereye Camp has multi activities! Last year, I signed up for 8 weeks last year and this year 4 weeks. He loves it and his friends never trained TaeKwonDo signed 4 weeks as well. We recommend them highly! Note: This camp is exclusive to the 2018-19 All Stars Team. Learn the Olympic Sport and train alongside a former/current State and National Champion as your coach. Areas of focus include strategy development, conditioning, speed and agility, video analysis, and strength. 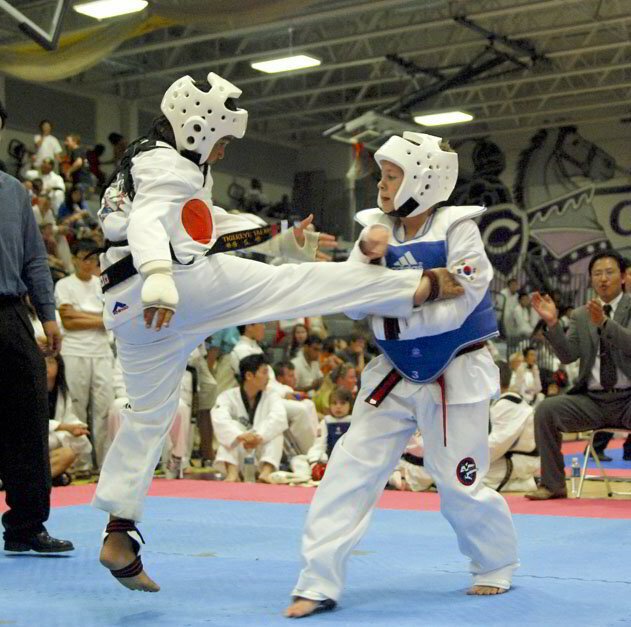 This seminar focuses on perfecting your skills and tough competition of poomsae, and train like a true champion. Topics include tournament strategy and conditioning, flexibility, speed and agility, sports psychology, video analysis, focus, and visualization techniques. Weather it’s a teacher workday or student holiday, when school’s off, you can send your child to ‘Tigereye All day camp’ to have fun both indoors and outdoors fitness games, sport skills, arts and crafts.